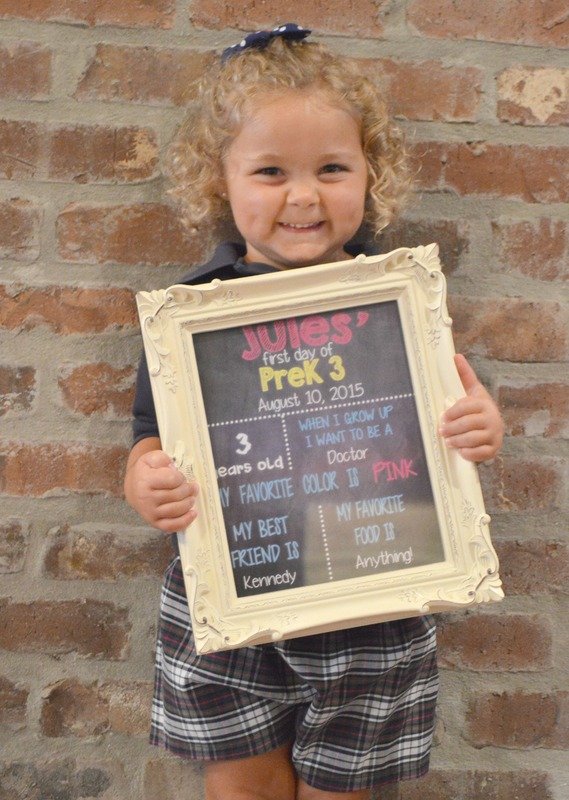 Kennedy was one of the oldest in the class…Jules will be one of the youngest. So my baby girl looks so little in that uniform yet so grown up at the same time. 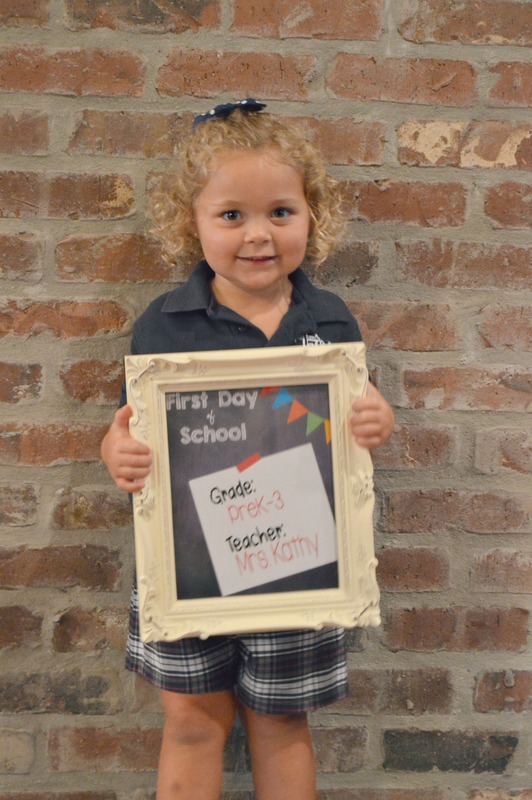 I knew she would be fine, because she has been so excited about starting big school. I knew big sister would take care of her too….they are right across the hall from each other. 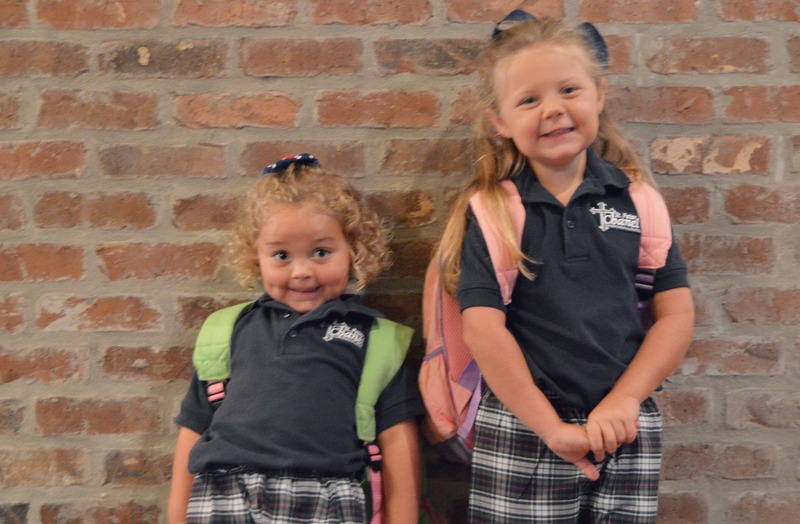 They will have recess together, and be able to eat lunch around the same time. I just know that Kennedy will look out for Jules. They are best buddies. 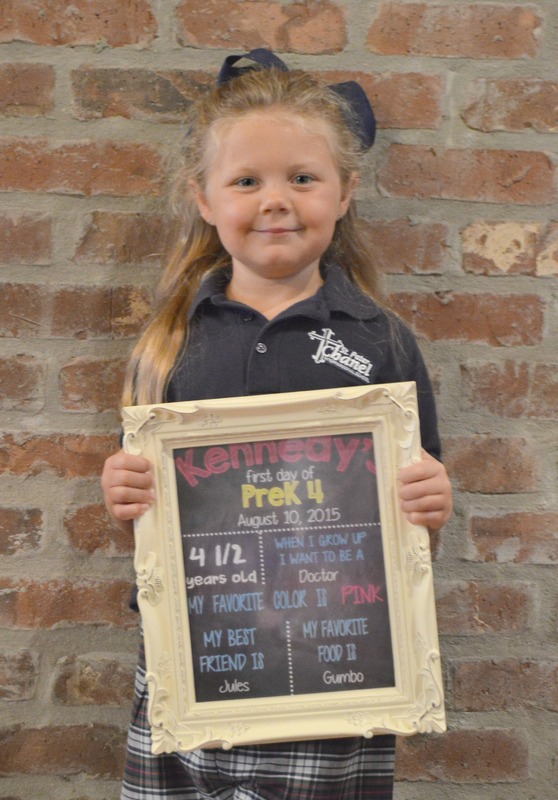 The entire way to school Kennedy was telling Jules the schedule of her day. “I will be able to have recess with you! 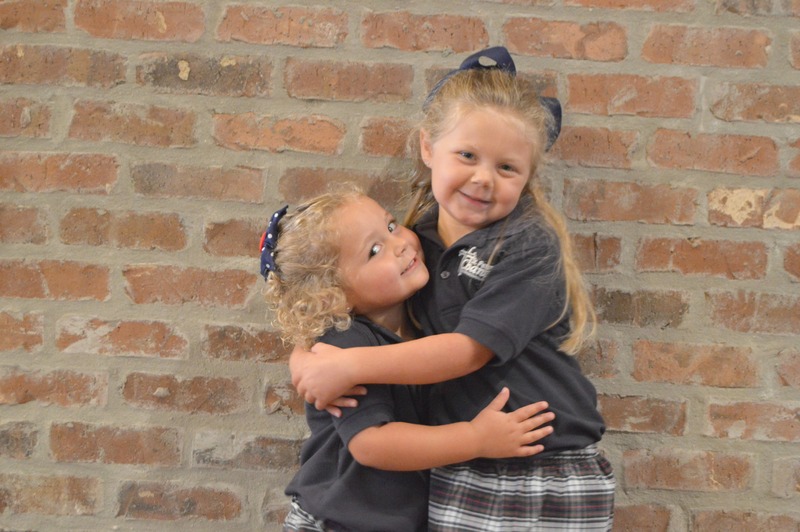 “My class will line up behind your class at lunch, ok?” They are so sweet to each other. 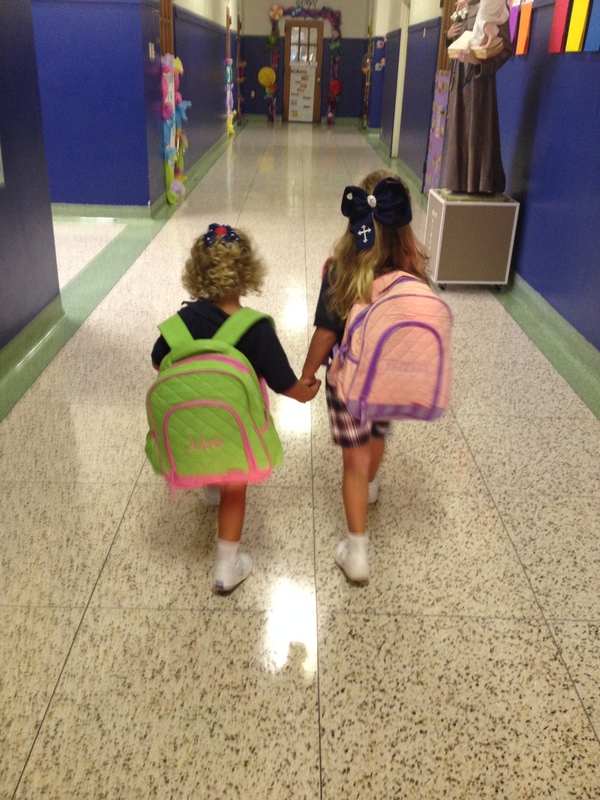 When I dropped them off, Kennedy had to go straight to the cafeteria, and Jules had to go straight to her classroom. They grabbed hands when we got out of the car and just started walking like they knew where to go. Jules was just walking around like she has been there for years. 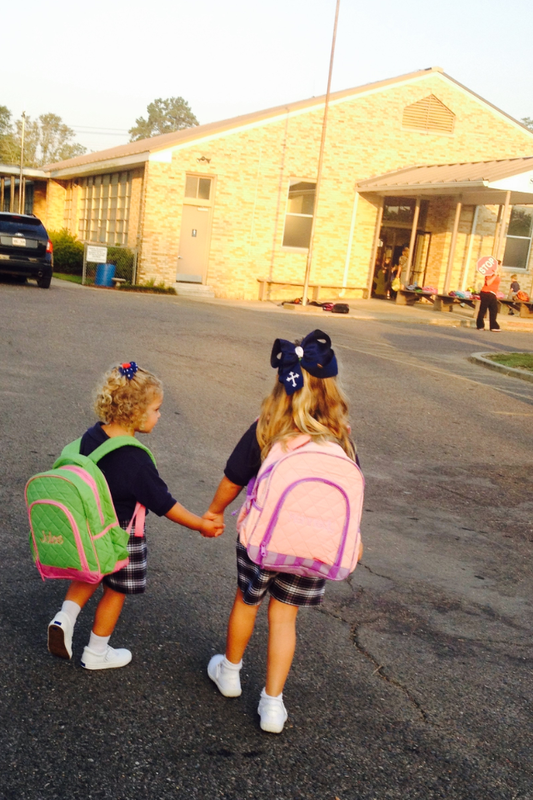 Both of them just kissed me and waved, “BYE MOM!” No trouble at all…my big girls. I could not wait to pick them up to hear all the stories from their day. 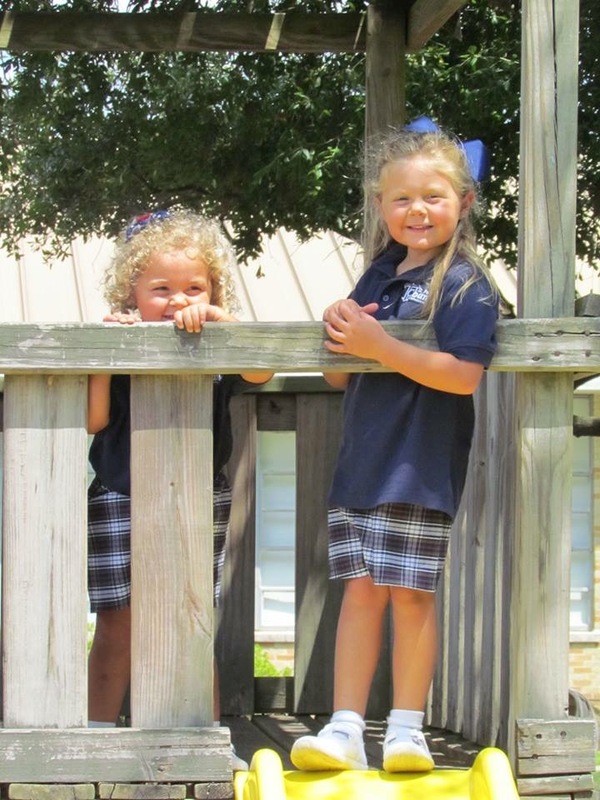 They talked nonstop on the way home – mostly about the playground, monkey bars, and balance beam. Both of them can’t wait to go back! 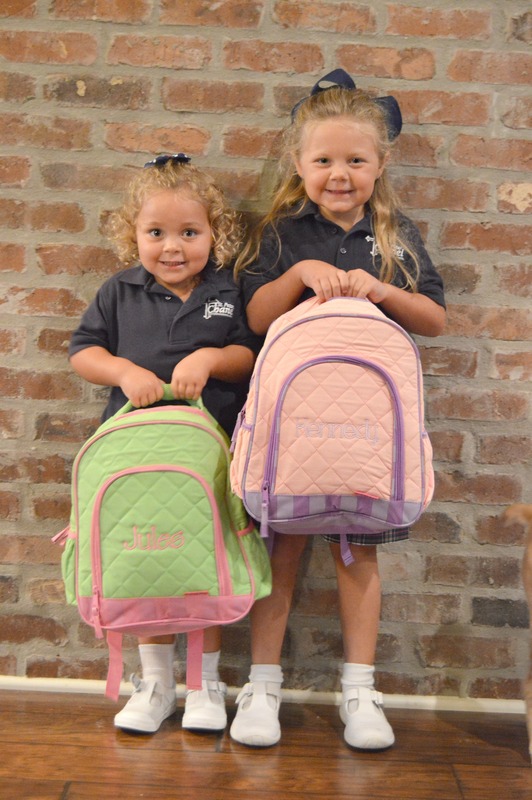 It makes it a lot easier on momma when your kids are so excited about school! 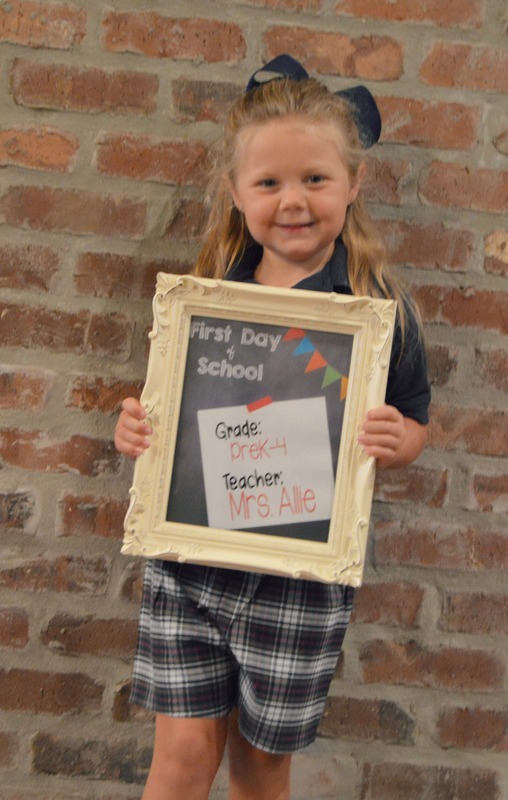 I can’t wait for another great year at school! Have fun my girls!